It is always a pleasure to see the web design work we produce from our design agency in Bristol being used as an example of best practice in an industry renowned blog. 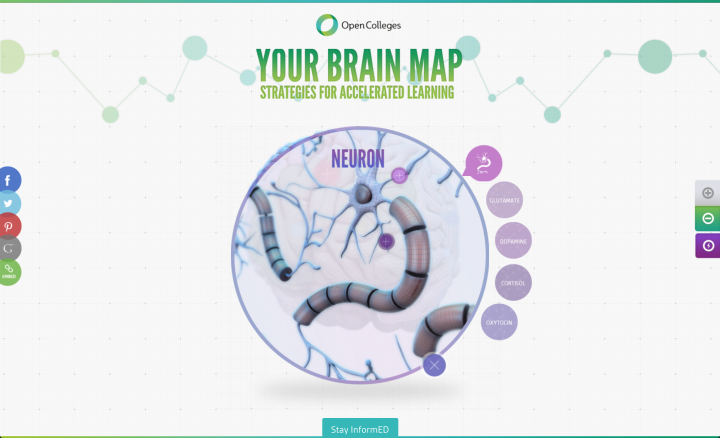 It is a great honour to even be featured in Creative Market blog, we are always reading their publications and it so happened that one day this popped up, which made our day:) – The interactive brain map – 84 strategies for learning! 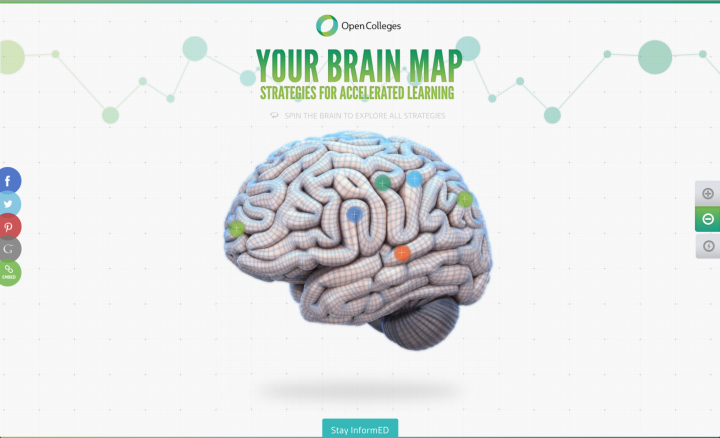 We loved working on this project with Open Colleges, it received great results when it launched and is continuing to serve its purpose. 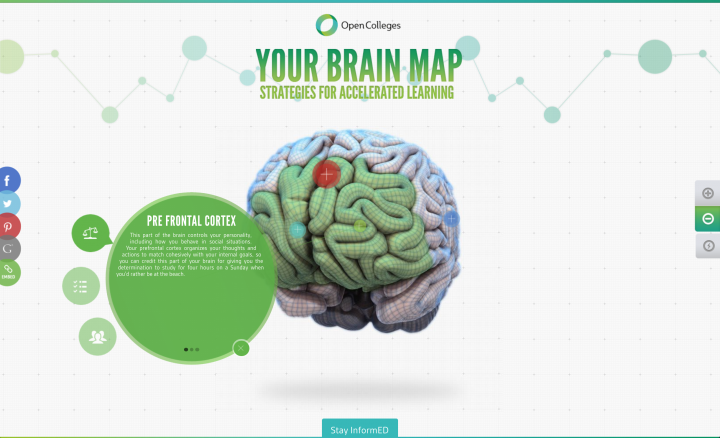 This is the best part of it all, this one page promotional site for Open College is still serving its purpose! Not only is it advertising the brand, but it is also acting as an ongoing powerful SEO tool. Generating rich backlinks from highly authoritative websites – To mention a few, asides from the widely respected Creative Market blog is, The Entrepreneur, Popular Science, SpeckyBoy, The Guardian and an ongoing list of academic and educational blogs, articles, magazines etc. Web design projects or powerful SEO campaigns like this, are not restricted by overly priced advert space or continued PPC costs, this is the natural form of search engine optimisation! If you produce engaging content that stimulates and interests your audience the success or promotion will happen naturally.